Our team has worked tirelessly in creating a robust platform that eliminates tedious marketing processes. This resulted in MAX, a feature-packed marketing automation software that allows businesses to effortlessly send marketing messages that stand out from the crowd. When software review website, FinancesOnline, got a close look at all our MAX features, their team was so highly impressed that they distinguished us with their Rising Star award for 2018. FinancesOnline is a popular SaaS review website that has analyzed thousands of solutions to date, and it is visited by millions of readers on a monthly basis. The review platform awarded us their Rising Star award in recognition of our positive feedback from clients, with MAX receiving a whopping 98 user satisfaction rating and placing in their top list of marketing automation software companies. 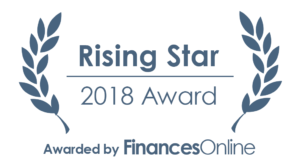 Granted to new SaaS solutions on the market, the Rising Star award recognizes MAX for being regarded as a reliable marketing automation platform by clients. The FinancesOnline review team also conducted a thorough analysis of MAX, commending us for enabling businesses to achieve great results with ease thanks to our CRM tools, marketing functionalities, insightful analytics, and easily customizable email templates. Due to this, FinancesOnline found us deserving to rank in their 2018 marketing automation list. According to their experts, businesses can easily create and send marketing campaigns that have “personalized and effective messaging” to target audiences. With our tools for creating customer profiles, segmentation, and our automation capabilities in determining the optimal moment to send campaigns, you can effortlessly benefit from campaigns optimized for conversions. 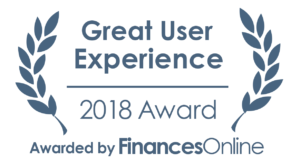 FinancesOnline also distinguished us with the Great User Experience award for 2018. This award highlights our platform’s ease of use and intuitive functionalities in handling one’s marketing efforts. We are beyond thankful to the FinancesOnline team for these prestigious awards and their glowing review. Head on to FinancesOnline for the full review and let MAX handle the grunt work of your marketing efforts today.